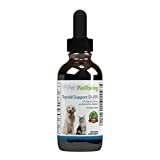 Thyroid support Gold for cats is a natural remedy for thyroid imbalance or overactive thyroid in cats. 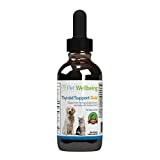 Thyroid Support Gold was initially launched with the name of Resthyro for cats but with improvement in the product, Petwellbeing.com the manufacturer of Resthyro for cats named it Thyroid Support Gold. Now this video was informative in the beginning but i started laughing after the first few minutes. Now the information is almost always correct, just that they could have done it without trying to act like professional videographers. 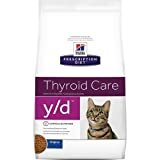 For those who are lazy to read and who want a quick list of things which are related to Cat Hyperthyroidism, Well this is the video you are looking for. Easy to understand, simple terms. 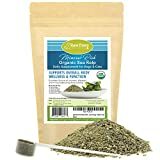 Explains the kind of treatment available for Cat Hyperthyroidism and Also is quite motivating (Specially when she mentions about Hyperthyroidism being fully curable).